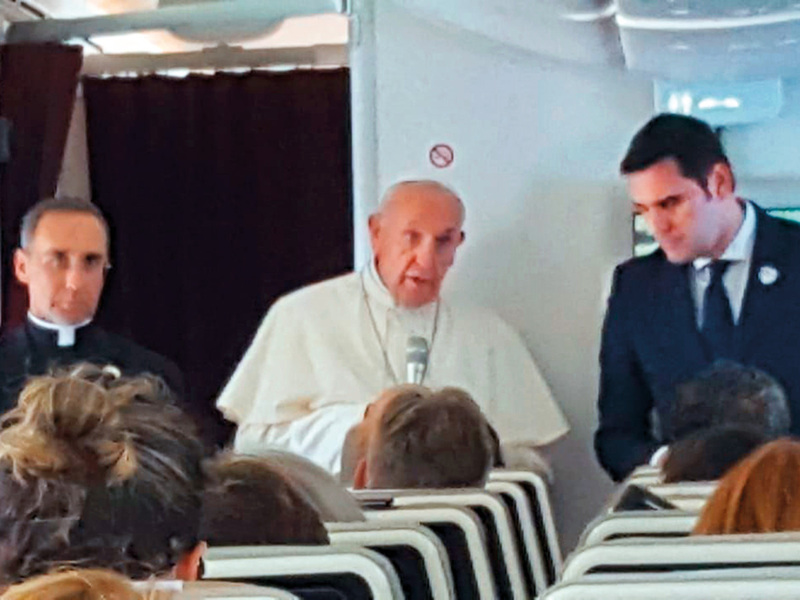 On Board the Papal Flight: Pope Francis Tuesday called for a united fight against terrorism and said violence in the name of religion can never be justified. The grand reception he received, he said, was a sign that the hosts were happy to welcome him. On terrorism, the pontiff explained that to fight terrorism it was important to walk hand in hand, or else we will be defeated. He went back in time to explain that the first case of terrorism was that of Cain killing his brother Abel, recorded both in the Bible and in the Quran. On religious persecution, the Pope said the document signed with the Grand Imam of Al Azhar Ahmad Al Tayeb condemned all kinds of violence. He called for religious freedom “which goes beyond the freedom to attend mass but also embrace another religion”. When asked about sexual abuse against nuns and women leaders in the church, he said the church was continuously working on the issue.